The Companions have been such a blessing to the Sisters in many ways. 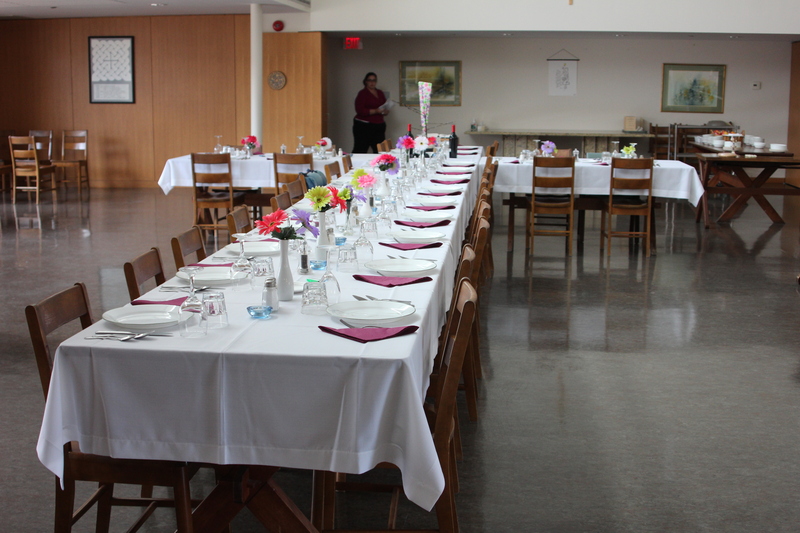 Most recently, on Sunday, March 12th they prepared an Agapé Meal for us all including any guests in the house. Amanda Avery from Nova Scotia was the one who organized this event and prepared a beautiful bulletin for it but all the Companions assisted her. The service began in the Chapel with prayer, praise and confession and some beautiful hymns: “Be Still and Know”, “Here I Am, Lord” and “They’ll Know We Are Christians by our Love.” During this last hymn we processed into the refectory where the tables had been set up in the shape of a cross. They were beautifully set with table cloths and flowers and a chair was set at the head of the table for Jesus. We were welcomed to the table, the candles were lit, and the bread and the wine were brought to the table. 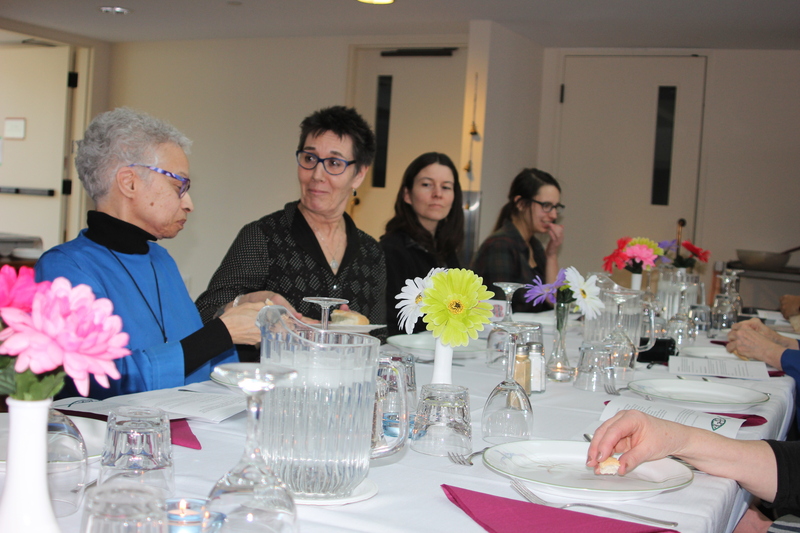 After the Gospel reading, the bread was blessed and passed around the table. This was followed by a delicious Middle Eastern style meal, served by the Companions and our Alongsider Claudine, after which the wine was blessed and passed around the table. At the end of the meal we were invited if we wished to take a moment to pray with Jesus. It was a very moving experience and beautifully done. Thanks for sharing this. The pictures are lovely and the event sounds inspired.